What does this article says about the Monash Mayor’s understanding of good governance? 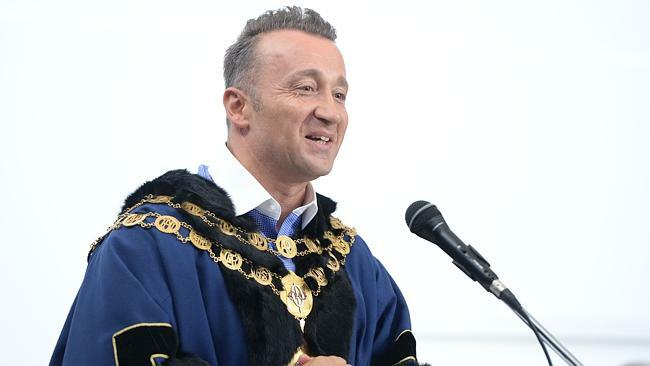 MONASH Mayor Paul Klisaris has been lambasted by his Liberal colleagues for a “tongue-in-cheek” comment appealing for new Australian citizens to vote Labor. Addressing 42 new citizens at the council’s Australia Day citizenship ceremony today, Cr Klisaris said Australians could vote however they chose, “but we’d prefer it if you voted Labor”. > > > Was the comment inappropriate? Tell us below. Cr Klisaris later defended his comments, saying there was freedom of speech in Australia and he didn’t think his comment would have “swayed anyone” to vote Labor. “I think people are being a little bit precious, it was all tongue in cheek,” Cr Klisaris said. But Mt Waverley state Liberal MP Michael Gidley and Monash councillor Robert Davies, who ran for the Liberal Party in the recent state election, were less than impressed. Mr Gidley said it was “disgraceful” and “completely inappropriate” for the mayor to use Australia Day as a platform for party political purposes. “The purpose of Australia Day is to recognise our history, and look forward to the future,” Mr Gidley said. Cr Davies also said the mayor’s comments were “disgraceful”, particularly in front of new Australians. “It also shows a lack for respect for his colleagues,” Cr Davies said.